Personal transportation devices in 2018 are smart and fun. Thanks to numerous improvements in battery technology over the last few years, we can now purchase many compact electric scooters and bikes with a decent range and a surprisingly high maximum speed. For this article, we’ve selected top 5 best smart electric transportation devices based on their price, features, reliability, and user ratings. The Immotor GO was funded on Indiegogo with the support of 421 backers, and now everyone can order this intelligent, portable, and foldable electric scooter on Amazon for $1,349. Featuring Immotor’s Super Battery technology, which delivers the fastest battery charging in the industry, the GO recharges in just 2.5 hours even though it can cruise up to 16 mph for up to 16 miles. The GO is designed to be a personal companion that can accompany its owner when shopping for groceries or when traveling, offering a handy Power Assist mode for hauling bags around effortlessly. 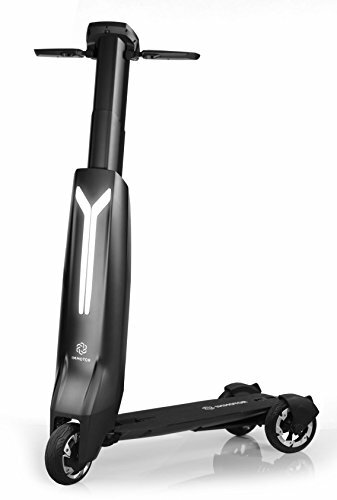 And even if you don’t have a bag the GO foldable electric scooter could help you with, you may still want to bring it with you because of the integrated phone holder with a USB port for charging. 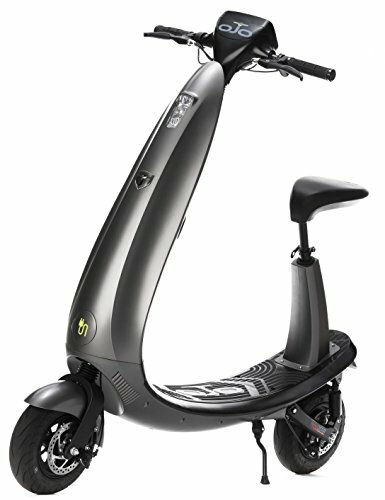 For such a compact transportation device, the GO has quite a lot of safety features, including several lights and a system that can automatically shut off the scooter if it detects that something is wrong. To enjoy everything the GO has to offer, you need an Android or iOS smartphone for the GO Smart app, which acts as a digital key to your GO scooter and allows you to control many of its features. With the OjO Commuter electric scooter, you can own the bike lane and reach your destination without breaking a sweat at the same time. This modern electric scooter has a patented 500-watt rear hub motor with enough torque to carry up to 300 pounds of cargo. The chassis is made from aluminum, which is why the OjO Commuter weighs only 65 pounds despite its excellent comfort. On a full charge, the OjO can drive up to 25 miles before it needs to be plugged to a 110 V or 120 V outlet and recharged for 6 to 8 hours, depending on how low the battery is. The top speed is 20 mph, which is just about perfect for cruising down the bike lane. The OjO is smooth and comfortable even at its maximum speed thanks to responsive suspension and motorcycle-grade tubeless tires optimized for all weather conditions. The OjO has Bluetooth connectivity, integrated speakers, and a large non-glare digital LCD dash with support for touch input. An integrated rear tail light is located right above the rear wheel, ensuring perfect visibility even if you happen to be wearing a long coat. A 4-bulb LED headlight is bright enough even for driving in the countryside. 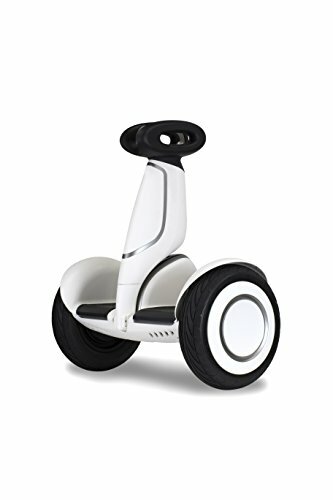 All in all, great value for a $1,999.99 electric scooter. The SEGWAY miniPLUS has your back. That’s because this $729.99 personal transporter has an intelligent Follow mode, which makes the miniPLUS automatically follow you around. This feature would be great on its own, but the miniPLUS also has an attachment point for the soon-to-be-released miniPLUS camera. With the optional camera, this compact personal transporter turns into your personal camera operator. The miniPLUS has a maximum range of 22 miles, and it can go up to 12.5 mph on a level surface. Thanks to the 11-inch air-filled tires, you can drive on uneven surfaces without losing your balance. Integrated into the sleek body are LED headlights and ambient lighting features. The only limitation of the miniPLUS is the relatively low maximum payload of 220 pounds. This 350-watt electric bike can assist you up to 18.6 miles, allowing you to easily ride up to 19 mph without straining yourself. The high-capacity LG Lithium-ion battery cell charges from empty to full in less than 3 hours with the included UL-certified charger. The Binxin electric bike is foldable for easy storage, and the aluminum frame keeps the overall weight down, at only 26.5 pounds. 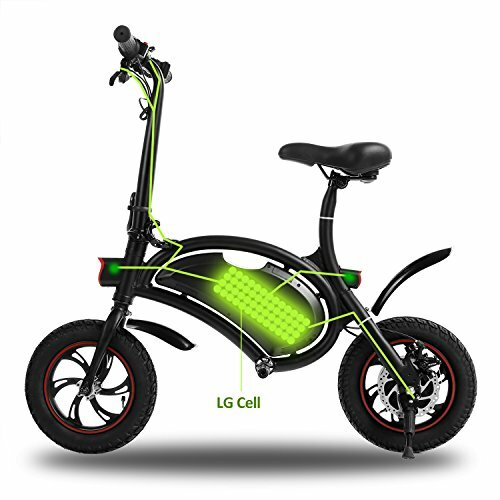 The Binxin electric bike is designed to connect wirelessly over Bluetooth to an Android or iOS smartphone with the Binxin app installed on it. You can use the app to set the speed from 3 mph to 19 mph, record trip mileage and time, lock the controller, turn off the front light, and more. All the essential control buttons are also present on the handlebar, so you’re not limited to just your smartphone. Binxin promises to give customers a full refund if they are not fully satisfied with the product. With such a great guarantee and the fantastic price of just $359.99 plus shipping, the Binxin electric bike is hard to say no to. The Actev Arrow is the world’s first electric smart cart for kids. 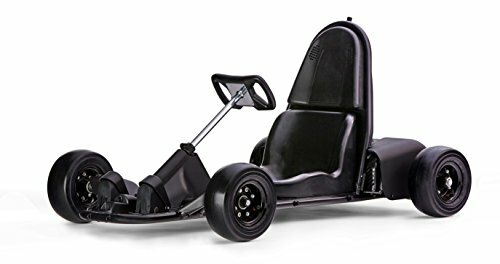 This feature-packed go-kart hosts its own Wi-Fi network for effortless pairing with the Actev app, which is available for Android and iOS. Using the app, parents can adjust the maximum speed (up to 12 mph) the Arrow can go or remotely activate the built-in emergency brake. Two independent 250-watt electric motors are very power-efficient, offering up to 40 minutes of drive time, yet they make the Arrow zoom through one sharp turn after another. Should your child ever make a driving mistake, the intelligent anti-collision system can stop the Arrow if an obstacle is detected. You can even create custom geo-fences using the Actev app to keep the Arrow in safe driving areas. To give your child the best toy they’ll ever have, you need to spend $999.95.